Jeff Goldblum has played many obsessive scientists over the years, but “enthusiastic lobotomist” is a new one even for him. 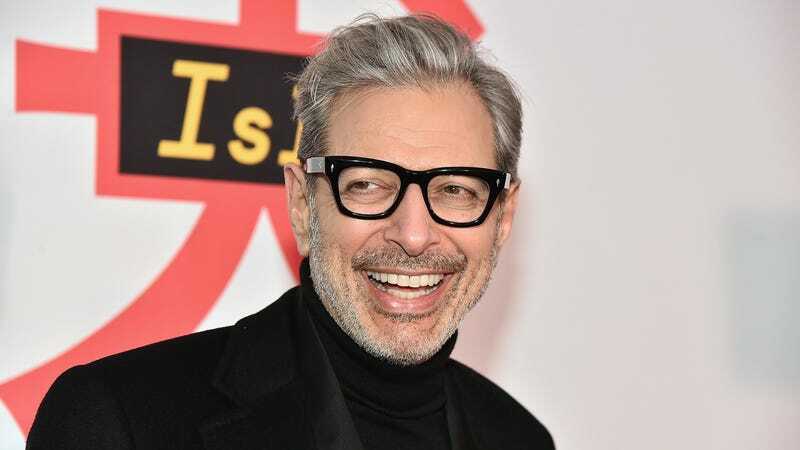 Indiewire reports that Goldblum has signed on for a role inspired by Dr. Walker Freeman, the American physician known as the “father of the lobotomy,” in a new movie. Called The Mountain, the film is about…well, let’s just cite the official description: “a young man who lost his mother and was raised by his emotional stunted father goes to work with his mentor, a doctor who performs lobotomies and shock therapy.” Goldblum will be playing the mentor, a man by the name of Dr. Wallace Fiennes. He tells Indiewire as much, adding that the film is set in 1954, at the height of the lobotomy’s popularity. In the 1950s, thousands of people, most of them women and gay men (homosexuality was considered a mental disorder at the time) underwent the procedure, in which a doctor severed the connection between their prefrontal cortex and thalamus. Many of them never recovered. Freeman’s big innovation was the transorbital, or “ice pick,” lobotomy, so called because it was done by inserting a long, thin metal instrument into a patient’s eye socket and gently tapping it with a hammer until the person’s brains were nice and scrambled. Freeman, who traveled the U.S. enthusiastically preaching his famous “ice-pick” method for decades, performed more than 4,000 lobotomies in his career, despite the fact that he had no formal surgical training. He even performed a lobotomy on John F. Kennedy’s sister Rosemary Kennedy, a procedure that left her severely disabled for the rest of her life. The Mountain is being directed by Rick Alverson, the director of Entertainment! and The Comedy, adding an intriguing layer of high weirdness to the equation. Udo Kier, Denis Lavant, and Hannah Gross have also signed on for roles in the film, which will follow Goldblum and protege Andy (Tye Sheridan) as they travel the Pacific Northwest performing lobotomies, eventually encountering a religious cult atop the titular mountain. The Mountain is currently in post-production, and should hit the festival circuit later this year.